In 100 years, Tarzan has had a major influence on pop culture. Starting with the books of Edgar Rice Burroughs, the iconic character has carried through to movies, TV, comic books, video games and more. 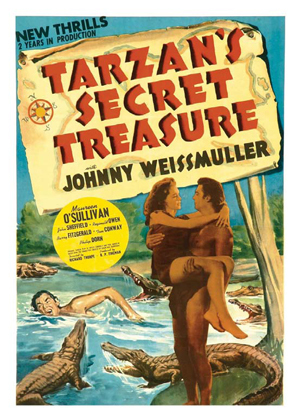 Tarzan has even inspired multiple trading card sets in the past, although none recently. The Lord of the Jungle still evokes fond memories for both the young and not so young. His trademark bellow can still be heard on playgrounds around the world. 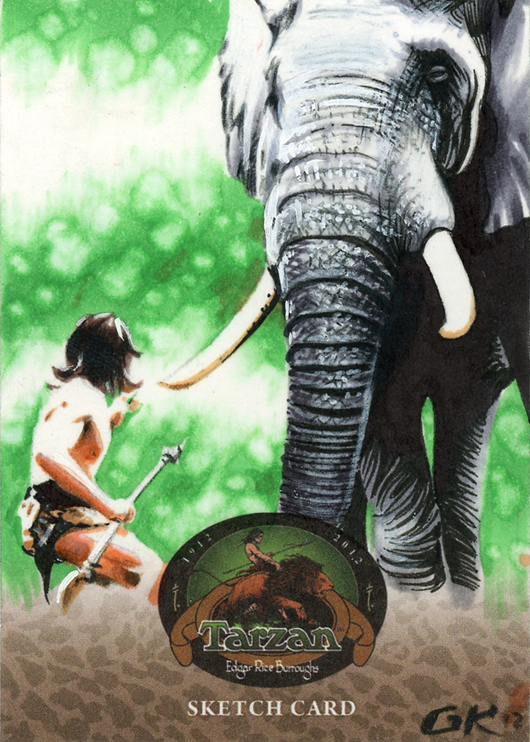 2012 Cryptozoic Tarzan 100th Anniversary trading cards celebrate the iconic character and his impact on so many mediums. 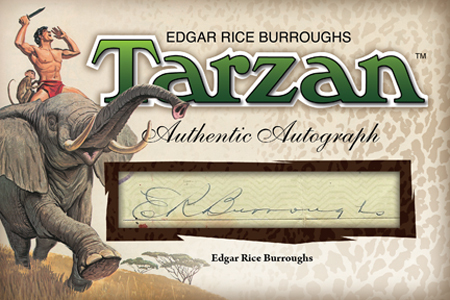 The 2012 Cryptozoic Tarzan 100th Anniversary base set uses art from the Tarzan comic books. Inserts are led by sketch cards that showcase many different styles of artwork. Collectors can expect some to have life-like renderings while artists opt for a more cartoon feel. With such a vast amount of material to draw from, the sketch cards subjects also vary widely. Sketch cards fall one per box. Reaching beyond comics, two insert sets in 2012 Cryptozoic Tarzan 100th Anniversary look at the character in different mediums. 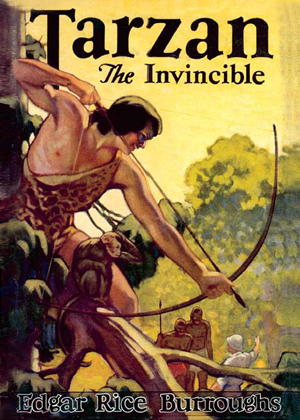 The first is a set dedicated to the art of Tarzan Book Covers. The second showcases Tarzan Movie Posters. Collectors can also hunt for special prize redemptions good for cut signatures and original art. The following is a list of artists who did sketch cards for the set. Sketch cards fall one per box.